Vivian, 2, was diagnosed with acute lymphoblastic leukemia this past winter, and because of her compromised immune system, she has had to spend a lot of time in isolation at the hospital, USA Today reported. Ironworkers Travis Barnes and Greg Combs happened to be working on a construction project visible from Vivian’s ninth floor window at the St. Louis Children’s Hospital. Each morning they would wave and smile at the child. Vivian looked forward to it each day, her mother, Ginger Keith, says in the video below. Then, one day, Vivian and her mother looked out the window to find not just their favorite waving construction workers, but a note. 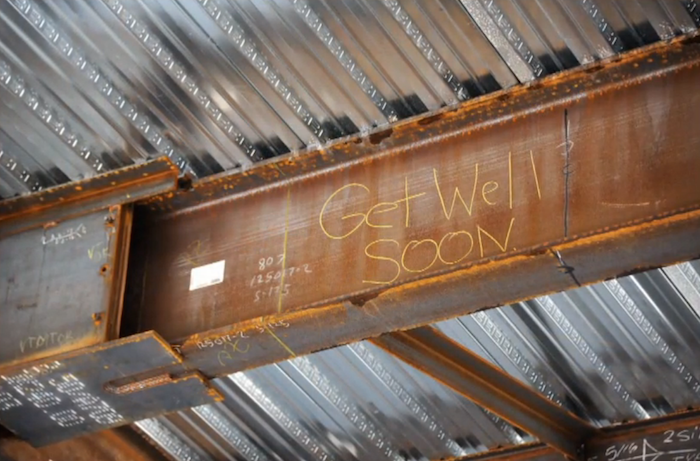 Barnes and Combs had written “Get well soon” on a beam for Vivian. 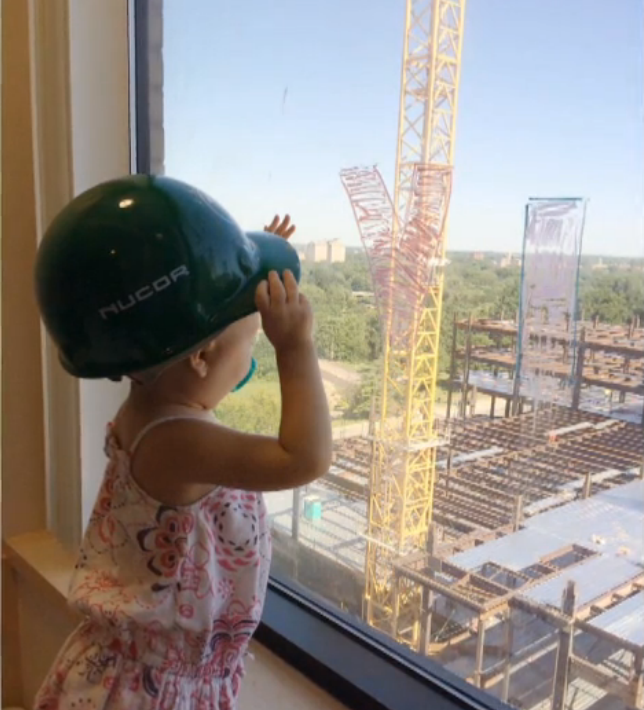 Now that Vivian is out of isolation, she finally got to meet her construction worker friends in person.